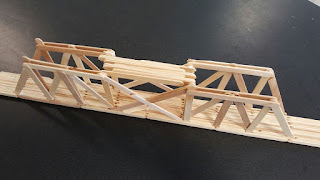 Design Rationale 3.1Our bridge has two basic parts, a base, and a truss. The Base is made out of 19 interlocked rows of 6 popsicles in each row. 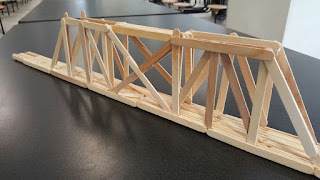 As for the Truss, we had to do some modifications to the original design as there are material and bridge size constraints. 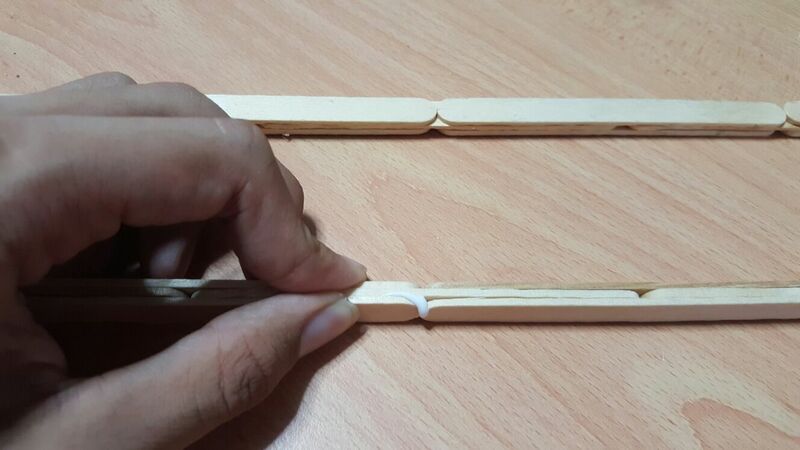 We decided to remove the top trapezium of the truss and remove one of the cross sections. 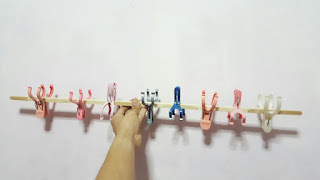 We also added 11 popsicles in between the two truss so as to act it as a connector and share more of the stress in between the two side of the truss. Our bridge's sticks are basically interlocked together. The way our bridge is anchored is that our "cables" are attached to the end of the road. 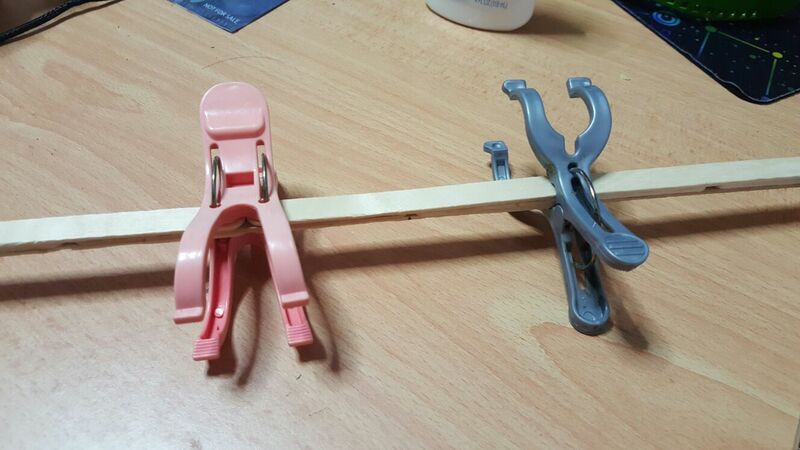 The popsicle sticks are interlocked and dried with glue to obtain a strong base. This is an uncompleted section of a plank of the base. The clamps are used to unsure that the popsicles are in place while the glue is being dried.